As I mentioned a little earlier in my Detroit Comix Party post, as a kid I didn’t exactly get comic books but there were always exceptions. While a lot of the big obvious stuff like Superman and all of the X-Men that weren’t Cable tended to whizz by me, I would occasionally glom onto something for reasons I couldn’t really articulate, often due to external media. I knew about Fantastic Four and Batman through cartoons and movies, I knew about the X-Men through video games that I’d rent even if I didn’t know jack about their source material, and a lot of the “comics” I liked carried something of a qualifier as to why I knew about them or how. My introduction to Steve Ditko came from a similar place. The first work of his I would ever be aware of would be, of course, Spider-Man, and also thanks to video games (of which the Sega Genesis had a surprising amount), and while I liked Spider-Man for what it was I can’t say I had a greater appreciation or understanding of comics as a result. I was 6 years old. I just liked his costume. 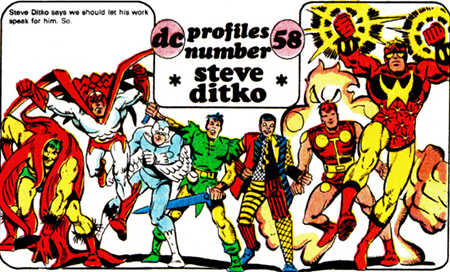 Years later, mostly thanks to an issue of Watchmen, I would both discover Steve Ditko’s importance in the history of comics, and be frankly shocked at the amount of things he was involved in. I can’t act like I was aware of them in any kind of ground-floor capacity, and most of my most impactful comic book discoveries (at least in the more mainstream Marvel/DC sense) would come between the ages of 18 and 25 so I was a late bloomer on this, as I was most things in my life. The more I read, the more I’d find out about Ditko and the influence he had on comics I’d like later. He wrote the best version of Blue Beetle, who would later become a mainstay of the funnier (and better) Justice League spin-off books. He created Captain Atom, who was like Superman but cooler and scarier somehow. He created The Creeper, who got a series of fun solo adventures and appeared in one of the better Batman: The Animated series episodes. The New Gods! Hawk and Dove! Legion of Super-Heroes! One of the earlier Starmen (Starmans? ), which as many of you know is literally my favorite comic of all time, at least in a later incarnation. 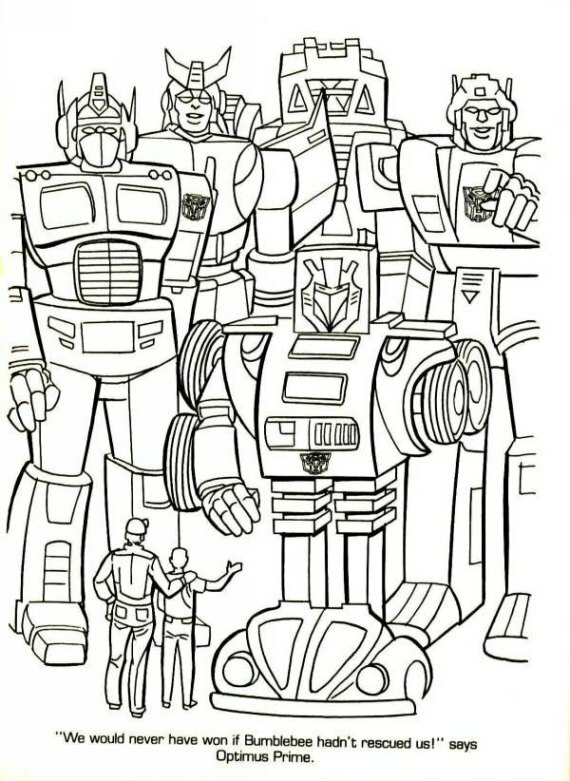 For god’s sake, the man even once drew a coloring book for Transformers that my sister and I would own (and refuse to color in). They all still manage to have Steve Ditko faces, even if they’re…you know, robots. 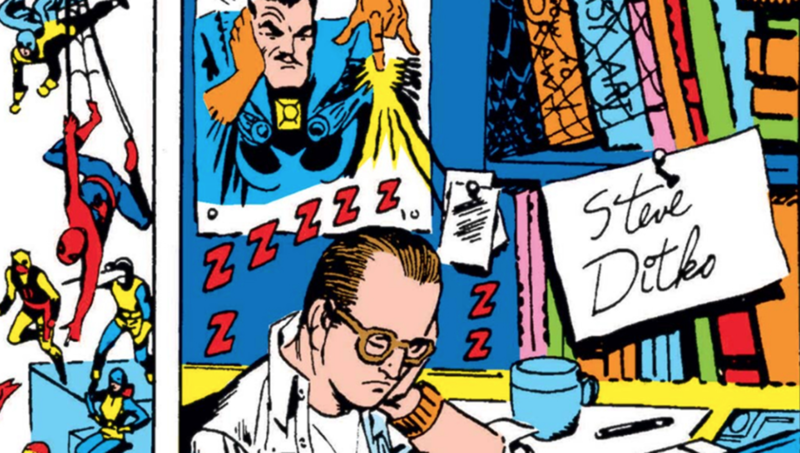 I can’t sit here and act like I’m an expert on Ditko, nor can I really speak with any authority about the vast majority of comic books period, let alone stuff he worked on. I am, however, continually impressed with how his work would shape the look, presentation, and tone of things I’ve loved throughout my life, and even if I disagreed with the vast majority of his politics, you can’t argue with results (goddammit!) and I love his work all the same. Of course, he probably wouldn’t care either way, would he?